book, paperback, 160 pages, englisch. 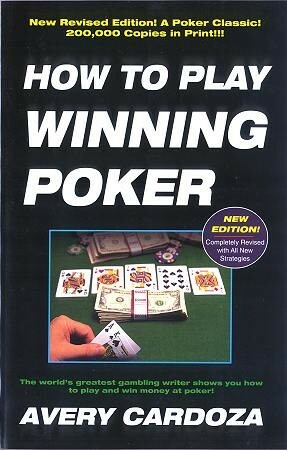 New expanded edition shows playing and winning strategies for all major poker games: five & seven stud games, omaha, draw poker, hold’em,high-low, both for home and casino play. Readers learn the 15 winning concepts of poker, how to minimize losses and maximize profits, how to read opponents and gain the edge against their style, and use pot odds, tells, position, and leverage.